Each country will host at least one short term mobility where students participate, 6 mobilities in all. There will also be 3 short term mobilities for teachers’ planning, evaluation and closing of the project. Furthermore there will be 2 long term mobilities for students consisting of 8 weeks in a foreign school. Each school has the possibility to send and receive 2 students abroad each year. To get more informations about a school trip, please click on the orange parts! Please mention that some pages haven't got any content yet. 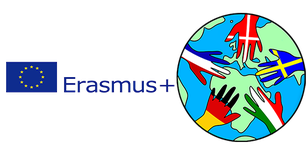 - Sending students for 2 months to a partner school, providing material for teachers’ guidelines and help the students to experience migration first hand and improve their European skills. - Several tutor students in the country will help to follow in class. - Environmental education as a support for integration (contemporary part of the topic). For opening the file you need an PDF-Reader.